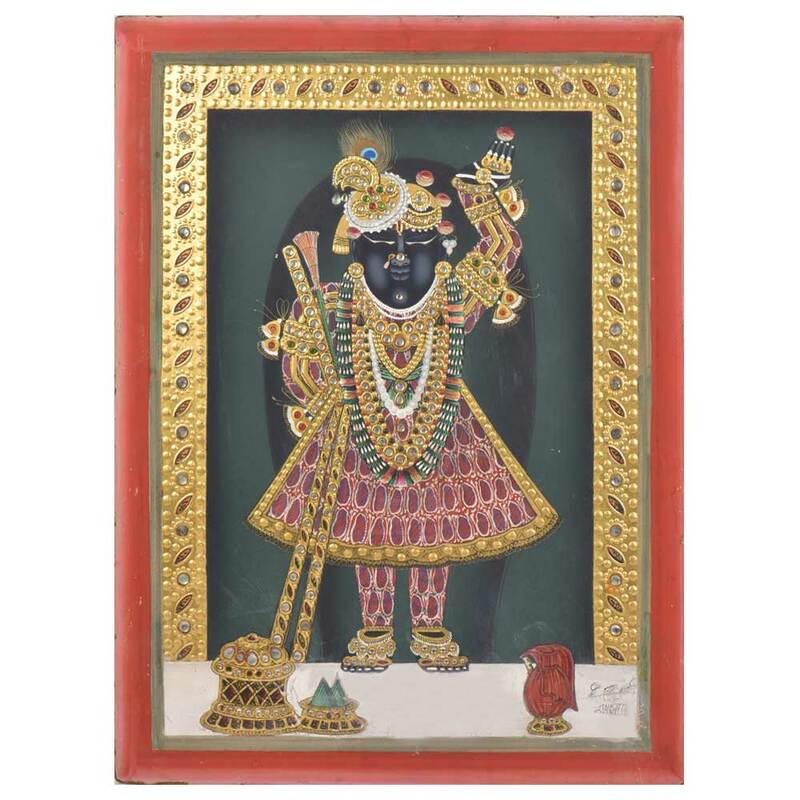 Traditional Tanjore Paintings encapsulates the opulent heritage of Indian culture. A culturally rich and highly specialized form of art of characteristically beautiful semi-precious stones and gold-leaf relief work. Height : 24.25 inches approx. Width : 18 inches approx.